CANDIG mini excavators are ideal for the tradesperson, farmer, hire industry, excavation contractor, golf courses, councils, utility companies, or anyone needing to perform excavation on a regular basis. 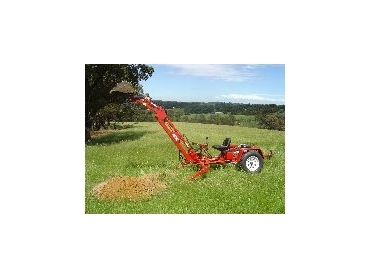 CanDig mini excavators are light, powerful and manoeuvrable, attaching to a vehicle by use of a standard trailer hitch. There is no need for expensive trailers or truck for transportation. * 12-month international private and commercial use warranty.